The Blessed Trinity is an oil painting on a 21X34 lauan panel. 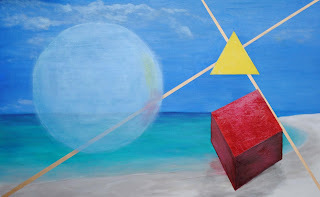 The painting presents the viewer with the image of a seascape that forms the backdrop for a surreal triad of primary shapes and colors – a yellow triangle, a red cube, and a blue circle. The shapes interact with two lines that intersect at a right angle and are derived by drawing diagonals through the mother/daughter pair of golden rectangles contained in the dimensions of the panel. The long diagonal symbolizes time and the short diagonal symbolizes space. Go d the Father is symbolized by a yellow triangle. 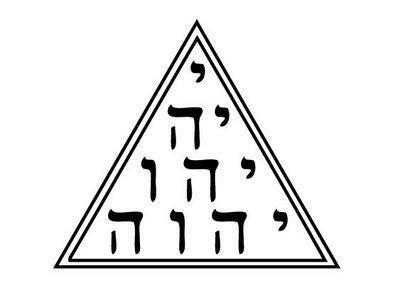 The triangle has long been a symbol for God and reason, as evidenced by the Hebrew use of an equilateral triangle to symbolize God; and the many versions of the Eye of God image that appear throughout history. The position of the triangle at the intersection of time and space symbolizes God’s mastery over creation. The color associated with The Father is yellow, the brightest and warmest of the three primary colors. Yellow shines with a brilliance that overwhelms all other colors. Jesus Christ is symbolized by the red cube. The three dimensional cube represents matter and weight. Likewise in his humanity, Christ was an inhabitant of the earth with form and mass. 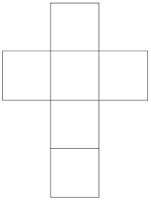 When the sides of a cube are opened as in the illustration, a cross is formed which symbolizes Christ’s victory over death. The image of the cube appears much closer to the viewer and is part of the seascape. The color of the cube is red, the symbol of life, courage, valor and martyrdom. The Holy Spirit is symbolized by a blue circle. The circle is a locus of points moving at a constant distance from a central point, which is in contrast to the sharp lines and angles of the other two shapes. The circle represents the gentile movement of the spirit flowing through our lives. 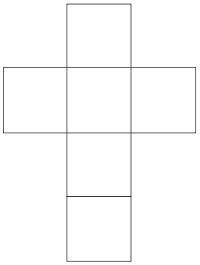 It is much larger in relation to the triangle and cube because the Holy Spirit interacts with us to a greater extent and thus has a greater influence on our actions. The great size of the circle does not have the mass of the cube nor the brilliance of the triangle. Rather, it is a floating, airy spiritual image that is difficult to see but easy to sense. The color of the circle is transparent blue, the symbol of cool water and flowing motion.